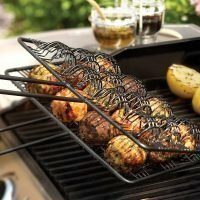 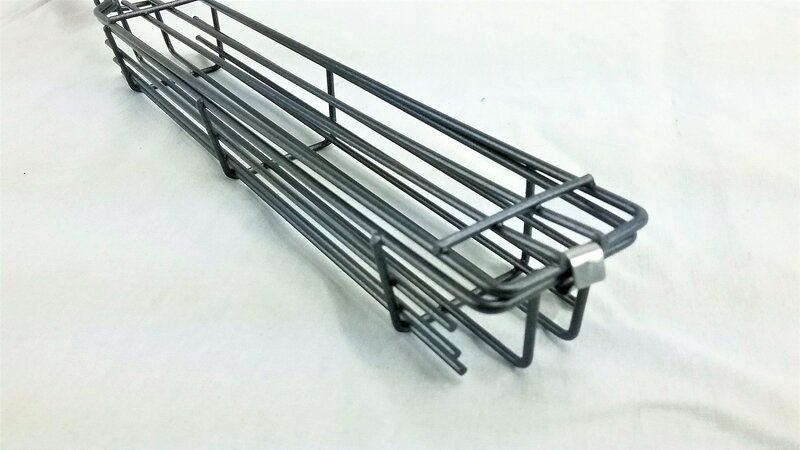 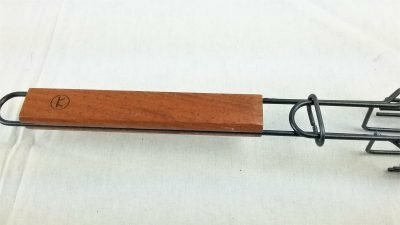 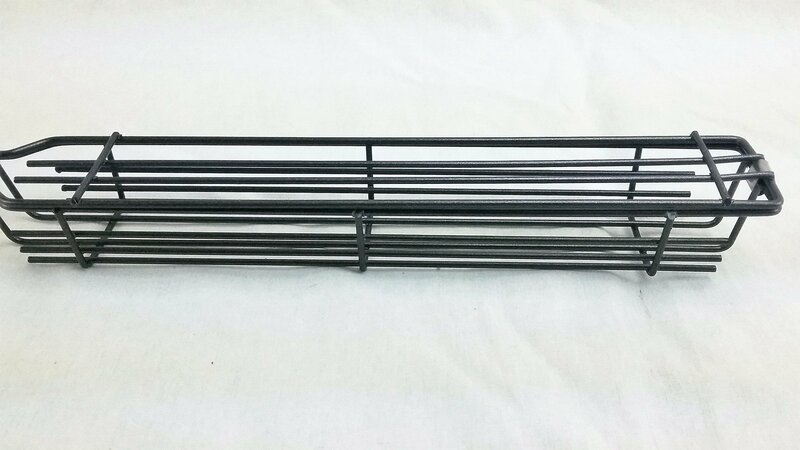 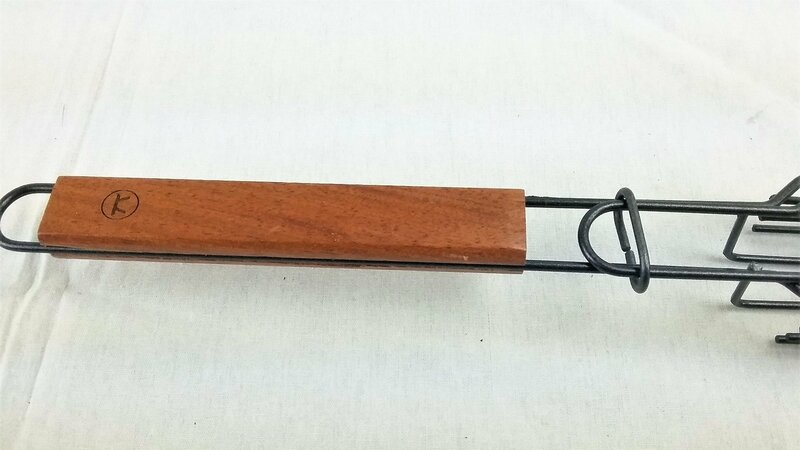 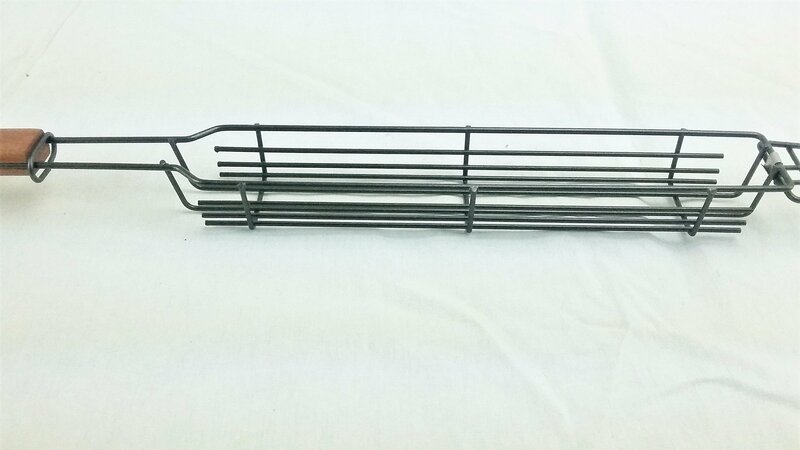 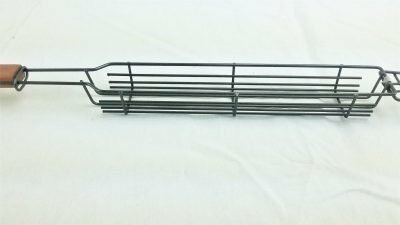 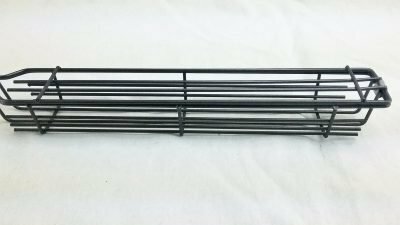 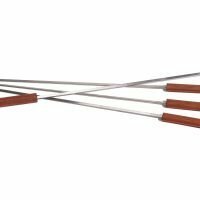 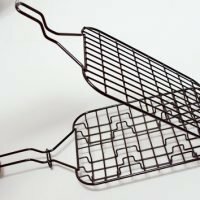 The small kabob grill baskets are each 19 inches long and the kabob cage is 10 inches long and 1.5×1.5 wide. 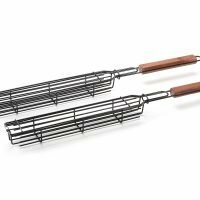 They are nonstick coated with hardwood handles and sold as a set of 2. 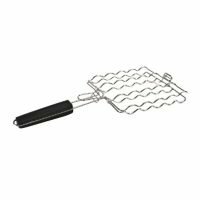 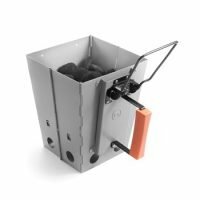 The cage locks into place to securely hold your kabobs, no more vegetables falling off the skewers. 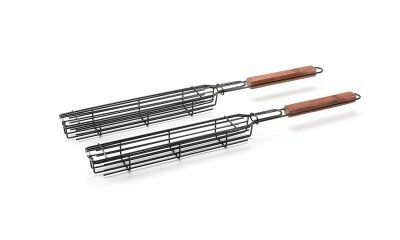 These baskets can be used with or without skewers.